Traulsen is a well know premier name in refrigeration for the foodservice market. We are a company specializing in Traulsen appliance repair. Whether you have a Traulsen refrigerator, freezer, prep table or milk cooler we can help you keep it functional. We offer a variety of commercial appliance repair and maintenance services. Our technicians are all factory trained and certified to do a repair on all models of Traulsen. Our company is ready to help you with any problems you might have. We often work with commercial kitchens, restaurants, bars, catering, etc. Our customers are always happy with our work because we offer highly professional, fast and reliable service geared towards food service market. Traulsen is all about making food safer and tastier. Their equipment is very efficient and very technologically sophisticated. For example, they use Epicon visual interface, specially engineered forced-air design, INTELA-TRAUL® microprocessor control and many other innovations. You need a company with a lot of experience to maintenance this kind of sophisticated equipment. We are such a company. With more than 30 years of hands-on experience, we always stay on top of Traulsen new technology. We can find genuine Traulsen parts and expertly install them on both older and newer models. Besides having all the skills and knowledge of Traulsen brand, we also offer outstanding customer service. Our clients get a accurate estimate and FREE service call with every repair job. Also, we will work around your schedule to make it more convenient for you. We will usually preorder the parts for your Traulsen so that we come to you totally prepared and not waste any of your time. We offer you a full 3 yearwarranty on all Traulsen parts. After an appointment with us, your appliance will be fully functional and safe! Our company specializes in Traulsen appliance repair as well as many other commercial and residential appliance brands. We have been doing repairs for more than 30 years. Our service area includes Los Angeles, Ventura County, and East Bay. We are family run and family managed a company. Our technicians service all the major home appliances such as refrigerators, dishwashers, washers, dryers, stoves and ranges, ovens, steam ovens, microwaves, freezers, ice makers, BBQs, pizza ovens, patio heaters and much more. We do both residential appliance repair and commercial appliance repair. If you need appliance repair, just give us a call. After you give us a call, we will set up a convenient appointment for you. Our technician will preorder parts for your appliance, and as soon as we have them, he will be on the way to your business. He will be fully ready for your particular project with all the tools and equipment on hand. Once he gets to your place of business, he will try not to disturb you, your employees or your customers in any ways. He will get right to work and will quickly do the repairs. We work fast and are very detail oriented because we know what we are doing. With us, you can be sure that your Traulsen appliance will be fixed right the first time. After the job is complete, out technician will clean up after himself and dispose of all the old parts. He will plug your appliance back in and test it to make sure it’s functioning well and is safe to use. You Trausen appliance will be perfectly functional and safe to use. Also, out tech will give you some tips on how to best maintenance your expensive equipment. Only with maintenance, can you make your appliance last a long time. Our company also offers annual or bi-annual professional maintenance program to our customers. This program covers all appliances in your commercial kitchen. It does not matter what brand they are or what model. We work all commercial appliances. As a part of this program, our technicians will do all the maintenance for you on a regular basis. They will inspect your appliances every time and catch any problems before they become significant. In the long run, this maintenance service will save you time and money. We have a lot of experience doing Traulsen appliance repair. With more than 30 years in business, we know how to treat our commercial customers and will guarantee great results. Our team is all factory certified and knows Traulsen brand very well. Also, we offer friendly and convenient customer service geared towards commercial customers. We know how important your equipment is to your business and we go out of our way to help you in the most professional and timely manner. You will be totally happy with both results and the price of our service! We guarantee it! For Traulsen appliance repair, please call us at 818-855-7988 in Los Angeles and Ventura County or 925-265-7782 in East Bay. Or you can fill out our short contact form. We would love to talk to you and answer all of your questions. Besides Traulsen appliance repair are also certified to repair Asko, Bertazonni, Bosch, Dacor, DCS, Electrolux, Fisher&Paykel, Frigidaire, GE, Jenn-Air, KitchenAid, La Cornue, LG, Liebherr, Marvel, Miele, Perlick, Samsung, Siemens, Sub-Zero, Thermador, True, Viking, Whirlpool, Wolf. Traulsen is a well know premier name in refrigeration for the foodservice market. We are a company specializing in Traulsen appliance repair. 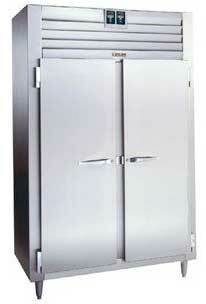 Whether you have a Traulsen refrigerator, freezer, prep table or milk cooler we can help you keep it functional.